Hidden Estate in the Heart of the Biltmore Area. Our home features 4 bedrooms, 3 car garage, motorcycle garage/shop, private outdoor dining, patios and fire pit seating amidst beautifully manicured lawns and extensive foliage. Office/monitor room for property wide camera security system. Freestanding theatre/recreation & game room, party pavilion/guest casita, TV Bar, pool & sports complex featuring tennis and basketball court, batting cage, putting and chipping greens. His and hers pool baths with sauna facilities. With a tent erected over the tennis courts you are capable of entertaining nearly 1000 guests! We have over 10 car parking capacity in 3 separate locations! Fully functional free standing show car garage including built-in tool cabinets, custom flooring and lighting and air compressor system, , full bath, washer/dryer, is decorated extensively with antique car and Texaco gas company memorabilia. There's a lounge/gentlemanâ€™s den with office boasts multiple TVâ€™s, sound system and wet bar. We live our passion and our dreams right here. 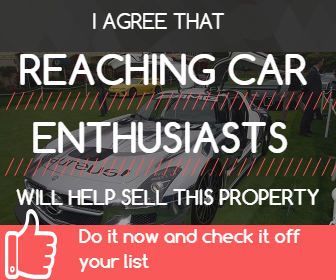 Garage Description Fully functional free standing show car garage of 2020 sq ft includes built-in tool cabinets, custom flooring, lighting and air compressor system, full bath, washer/dryer, amd is decorated extensively with antique car and Texaco gas company memorabilia. 14 ft ceiling would accomodate car lifts for additional cars. Ownersâ€™s lounge/gentlemanâ€™s den with office boasts multiple TVâ€™s, sound system and wet bar. Main home 2 stall garage is 550 sq ft and the Harley/motorcycle garage/shop is 210 sq ft.